I think Suretydiy is great, but one suggestion–can you “amp up” the yard signs and stickers? They don’t seem very scary to a would-be burglar. Language like “warning” and the like would be so much better. It would also be great to have one that says “monitored” for those of us subscribed to 24/7 central station monitoring. We are always happy to take suggestions for any improvement. I’ll send this to our customer service team. 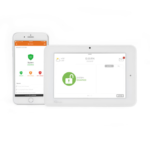 Coming off a Vivint contract,learning about and changing to Suretydiy has been a very smooth experience and we are very glad to have your products And services. But as trivial as it may sound please change your yard sign to something a little stronger on the security side of things. In my opinion they stress DIY not monitored security. Has there been any headway made regarding your signage? I switched to your services almost a year and a half ago, when I left my job at a security company. But in my opinion “DIY” screams “break into this house!” So I still have yard signs and stickers from my old provider/employer. I think your service is infinitely better than theirs, so I would really like to stop promoting their company, and start promoting yours. But I just can’t bring myself to buy a sign/sticker that says “DIY” so prominently. Is it possible to at least get “SuretyCAM” signs and stickers these days? Thank you for reaching out. I’m glad to hear you enjoy our service! We take all user suggestions, and we’re happy to report back here if changes are implemented. At the current time, all signs are as shown on the website. I just stumbled upon this thread, but felt I should add my agreement to it. I ended up using stickers from where I bought my equipment because I thought they looked more professional. Burglars might not be the sharpest knives in the drawer, but most people these days know what DIY means, and they’re going to think Radio Shack; they’re not going to think it has anything to do with a professionally monitored system. I have to agree with all that is said above. I love the customer service and my SuretyDIY alarm system, but the yard signs are a sore spot for me. I do have the yard sign set up and don’t think about it much now, but when I first installed it I was a bit embarrassed. Even just removing the DIY part would be fine with me. Something like SuretyAlarm. You could still add the full SuretyDIY in smaller lettering if you still want the advertisement for your company. Sorry to beat a dead horse, but I agree 100% with the other comments that the signs and stickers need to be stepped up. That hit home with me because the majority of homes in my neighborhood do have security systems with better signage. Then there’s also the “happy wife, happy life” factor. So now, I’m going to be replacing all of your signage with that from another company, and you guys lose out on the free advertising. This is not a small issue. Please give it the attention it deserves. Thank you. We do take your requests into serious consideration, and I believe changes are indeed being discussed. We aren’t the ultimate deciders here on the support forum, but we will of course update here with any future changes. Great, greatly appreciate the color and thanks as always. But I just can’t bring myself to buy a sign/sticker that says “DIY” so prominently. Is it possible to at least get “SuretyCAM” signs and stickers these days? I wasn’t a big fan of the new ‘DIY’ security signs either. I still have the originals (no ‘DIY’, just ‘SuretyCAM’)…which is much better IMO. Maybe one day, they will go back to it. Maybe it is just me, but the signage is important as a deterrent, maybe more so than the actual system itself. I won’t use generic signage, and ‘DIY’, whether true or not, just screams non-professional, big box junk (like Simplisafe), or fake camera/security system Installed here. I like the eyeball, and ‘CAM’, as it gives the impression that ‘hey, you are being watched, and video recorded, so move On’. ‘DIY’ just doesn’t do that. The orignal signage weathers very nicely….it has been, what? 5 years or so now? I still have two unused decals left as well. No fading, or sun damage. Yes, changes to the signs/stickers will be coming, as well as additional website changes. Stay tuned! I don’t know if the new logo will appear on the security signs, but I do hope the new signs will have the security gravitas that previous commentators have requested. I must admit the “warm and fuzzy puppy” style of the logo won’t do much for me in this respect. Not that I want a snarling Doberman graphic either, just something that looks professional. I have to wonder if the logo was tested with an audience wrt how it is perceived in the context of security. It honestly looks like marketing form over security substance. I’d rather not have burglars actually test the alarm system because they ignore the signage. Of course its not the end of the world if the signs are underwhelming. I am planning to change from ADT to another service with a significant upgrade in capability and Surety looks attractive in combination with Qolsys. However, if the new signage is lacking then I will either continue to display ADT, use an old Brinks sign (since the Brinks brand has been resurrected) or find something else; none of which should be what Surety wants.